STORM HAND LANTERN Capacity 200 gr and burning time 14 hours. Η 24,5 cm. Spare glass with code 519-1. On-board lighting is important for both comfort and safety. Fixtures designed for both are available on NauticExpo. 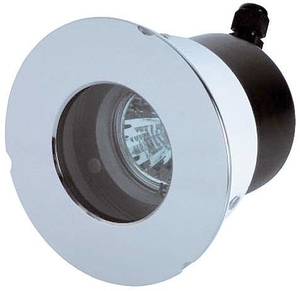 Such fixtures are suitable for interior or exterior installation. Those exposed to the weather, in particular, must be waterproof and corrosion resistant to withstand the rigors of the marine environment. Most on-board lighting now uses LEDs because of their cool, economical operation. Occasional lighting in cabins is similar to that found in the home. It includes wall-mounted, recessed, table and reading lamps, as well as other types. The variety of lighting fixtures is enormous. Power consumption and compatibility with on-board electrical and electronic systems should be considered when choosing.